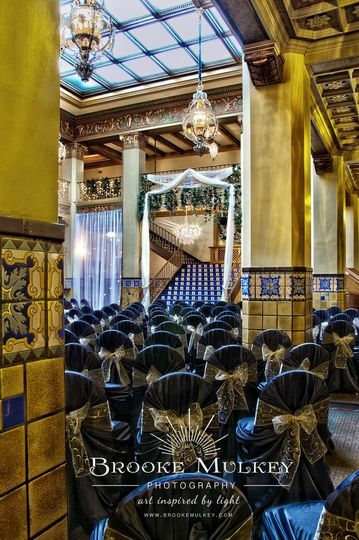 The Cactus Hotel is a premier wedding and event venue located in San Angelo, Texas. Known as one of the most iconic wedding venues in west Texas, The Cactus Hotel is the tallest building in San Angelo and has stood 14-stories high as a historic landmark for almost six decades. 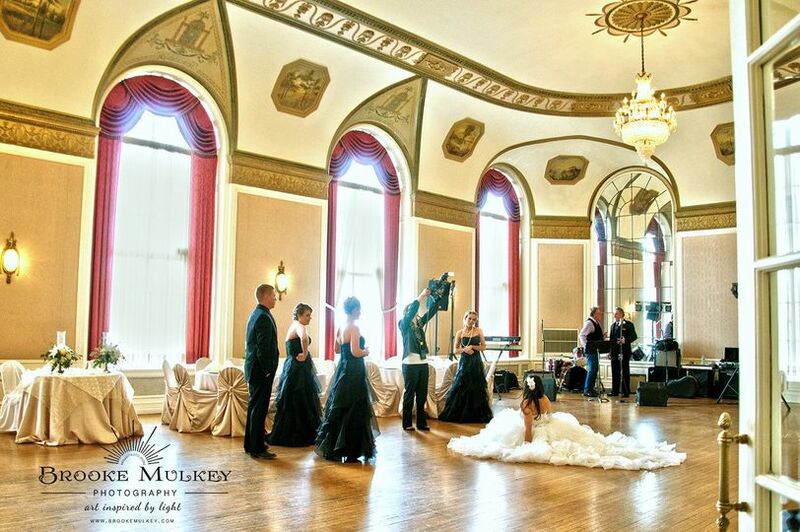 This venue offers an elegant and classy setting to hold your dream wedding and reception. The Cactus Hotel is a wedding and event venue with five different event spaces, accommodating up to 350 guests. 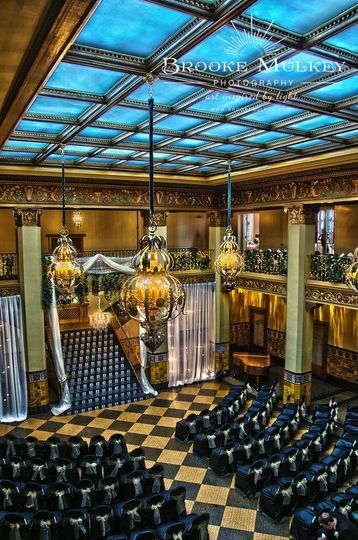 This iconic venue holds a sense of old world charm that will create a magical, historic ambiance at your wedding. 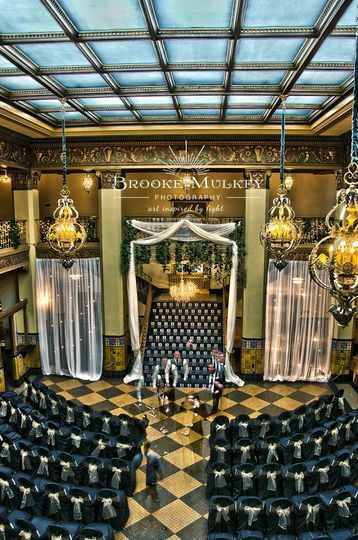 The Lobby is an ideal ceremony location, with natural lighting from the ceiling and a Grand Staircase to make a grand entrance. 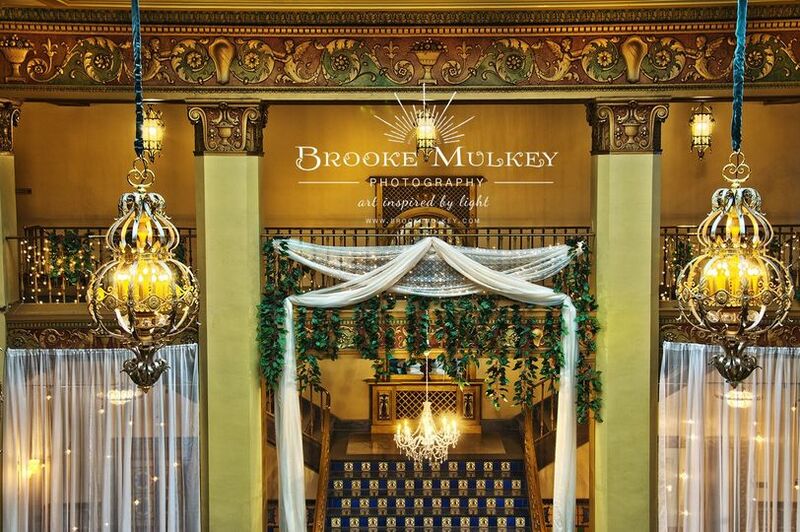 The Ballroom and Mezzanine are elegant event spaces enhanced by crystal chandelier lighting, wall sconces, and ceilings painted with murals to create a sense of west Texas beauty. The Ballroom has ample space and a dance floor for guests to enjoy, while the Mezzanine offers views of the stunning Lobby interior. 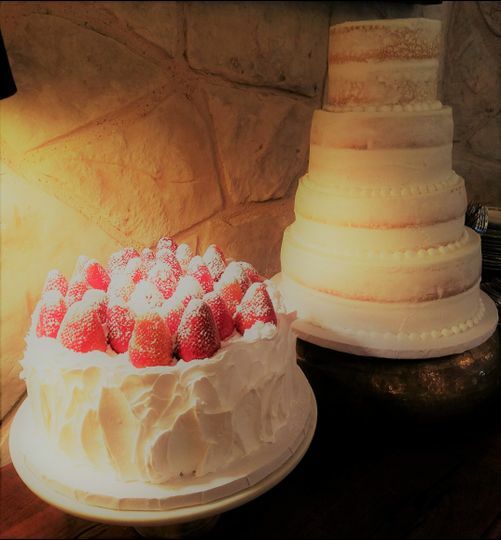 The Top of the Cactus is an upper floor of the hotel that offers sweeping views of San Angelo, and is perfect for intimate ceremonies and receptions. Whether your celebration is small and intimate or large and extravagant, The Cactus Hotel is the perfect venue for your unique affair. 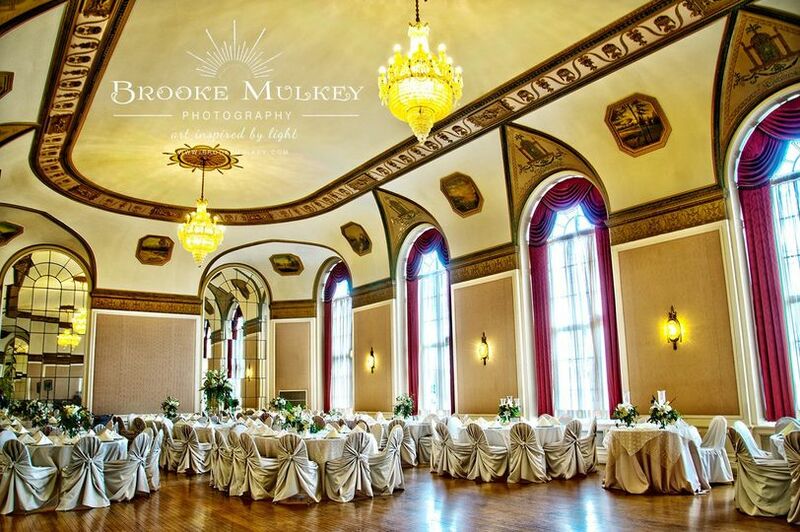 This historic wedding and event space can be utilized for weddings ceremonies and receptions, as well as bridal showers and engagement parties. The staff at The Cactus Hotel offer a number of services and items to assist you in executing your perfect event. The event space comes equipped with tables and chairs, as well as a dance floor and audio equipment for your use. 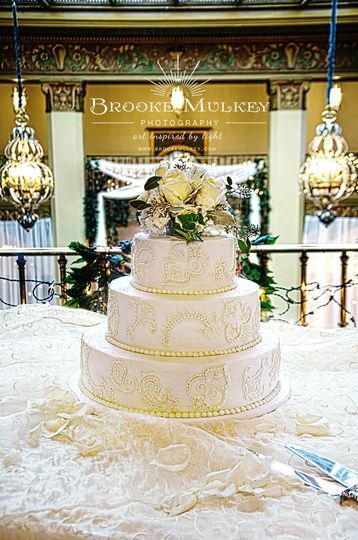 They provide linens and other decor items, and offer clean up services in your wedding package. The venue also offers piano rentals and a PA system. The staff coordinates with outside vendors, including caterers and bar service. The Cactus Hotel's kitchen is available for use at your event. In the late 1920s, Conrad Hilton built an impressive, towering hotel in San Angelo that established a tradition of elegant affairs, efficient commerce, and quality accommodations. This hotel, one of the original Hilton Hotels, became a west Texas landmark, stretching 14 stories into the Texan sky. 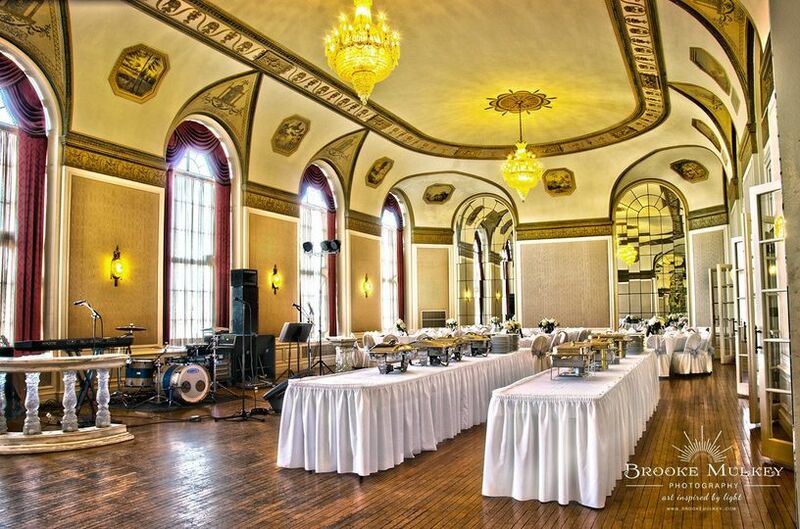 It was later renamed The Cactus Hotel, and serves San Angelo with elegant interiors and historic beautiful spaces for wedding receptions, meetings, and other public gatherings. I absolutely loved The Cactus! It was the most magical and lovely experience. 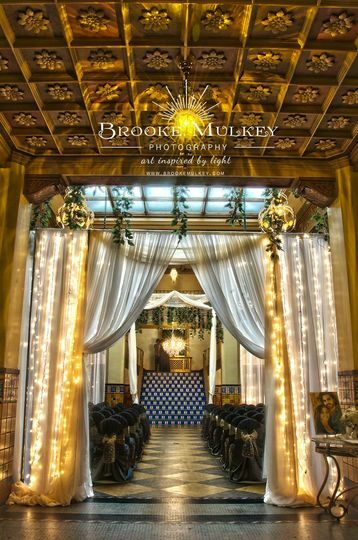 My wedding dreams and visions came true in all of it's unique and historic beauty! We booked the top floor of the Cactus for a wedding rehearsal dinner. This historic building is a really cool venue, and the top floor offers great views of the city. We do not live in San Angelo, so we had to work with the building management staff remotely. We found them to be very responsive and pleasant to work with, going above and beyond to make sure we were satisfied. Highly recommend! Beautiful venue for a very affordable cost. I loved everything about it!